Bithecutt Cottage provides an ideal location for a relaxing or active break at all times of the year. 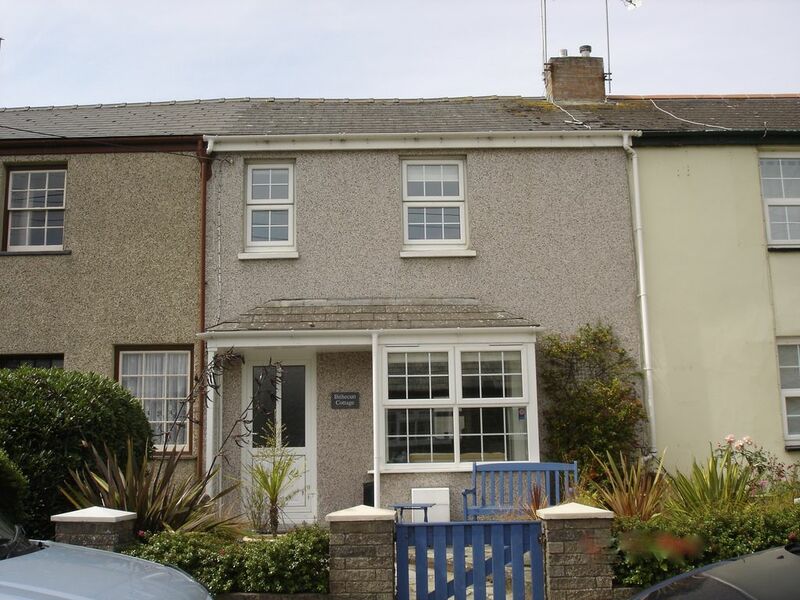 It is within walking distance to all of the amenities Bude has to offer including coastal walks, horse riding, golf, fishing and Crooklets (blue flag) and Summerleaze beaches both a short walk away (5min). Bithecutt is ideal for families, extended families and groups of friends looking for a central base while enjoying the Cornish coast and local places of interest. Bithecutt Cottage has been rated high 4star by Visit Britain. Additional Information for Bithecutt Cottage: This property has been rated high 4* by Visit Britain and is just 5mins walk away from Summerleaze Beach, the coastal walks, the canal for fishing and town. We add little extras around the home to cover all your needs and enable you to simply unpack and enjoy the area. Bodyboards are available for you to use. If you would like to see comments from the visitors book, please let us know. We chose this property as our base in Cornwall as the cottage is perfect for a holiday, we can leave the car once arrived and walk everywhere in Bude, there is always something going on in Bude throughout the year, so when we visit in Winter it's just as welcoming. We can visit both Devon and further into Cornwall from our cottage. Our children love the area, the beach is fantastic, sandy and great surf, so bodyboarding or learning to surf is fantastic. We can have an active or inactive holiday, we chose. Bathroom 2 is en-suite to the master bedroom. Bathroom 1 is on the first floor. Lovely cottage just across the road from the canal and the canal basin where you can enjoy some of the delights of Bude. Ice creams, cream teas, wine bar, excellent restaurant and bar literally next door. The house is very nicely furnished with ample linen, blankets and even beach towels. Access to Netflix and wifi is provided. I was initially sceptical by the on street parking as when we arrived there was no where to park which made unloading tricky. Fortunately there is plenty of parking just up the road and for the rest of the week it wasn't really a problem. Occasionally had to park up the road but was able to move the car back outside the property around 7pm. The whole family had a lovely stay, house just right and in a great location. We will return! We were here to spend Christmas with family and the cottage suited the purpose. However there were no decorations put up which would have been nice. The bottle of prosecco however was much appreciated. There is a problem with condensation in twin bedded room making the window sill wet. You might want to look at this before it causes any other problems. Overall we had a lovely stay and time with family. Great location for town and beach. Well equipped with all you need. Park your car, leave it and enjoy everything Bude has to offer. Sea, sand, natural swimming pool. Breakwater with a small pool to swim or paddle in. The canal is on the doorstep, pubs and restuarants within an easy walking distance. The town centre 5 minutes away and a local convenience store for all the things you may have missed. The cottage has perfect accommodation. Suits two families as there are two bathrooms. Lots of games and good TV. Well worth booking for a n ideal holiday. Being based in Bude gives you the benefit to discover both Cornwall and Devon.Local places of interest and worth a visit: Tintagle Castle, Boscastle, Bodmin Moor, Widemouth Bay, Bude Town, Crackington Haven, Hartland Point, Clovelly, Exmoor, Polzeath Beach, Wadebridge, Camel-Trail, Newquay, Eden Project, Lost Garden of Heligan, Falmouth Camelford (King Athur Legend), Surfing at Bude, Widemouth Bay, Pozeath, Newquay, Perranporth.Coastal Paths, in - and outdoor activities (horse riding, quads, fishing, canal walks). Bude links golf course.Port Isaac, Padstow, Rock, Watergate Bay. Golf: The Bude Links Course (9hole) is just a10 min walk/5mins by car from Bithecutt Cottage. Bithecutt is an ideal base to enjoy Bude, is a fantastic spot in Bude to enable you to feel like your on holiday and have the local area at your feet. The damages deposit is payable with the last payment and will be returned within 14 days of departure. Normal wear and tear is covered under the booking, this is for large items of damage. For long breaks we will provide a special price, excluding high season. For short breaks please contact, weeks where the price is below £625, there is a fixed price for a min stay of 3 nights. We provide a booking agreement. Cancellation policy is available via the booking agreement.